Established in 1989, Baggetta & Co. provide financial solutions to businesses and individuals. 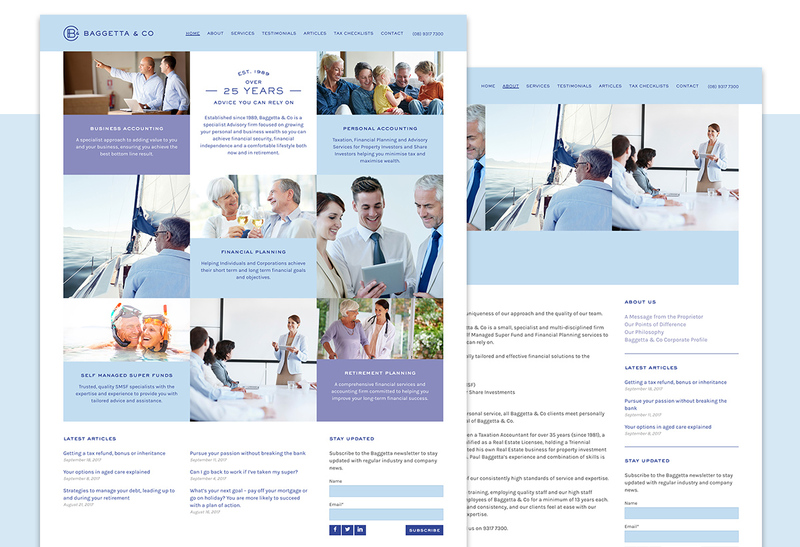 Baggetta & Co. required a new website that would increase their conversion rates, facilitate a regular article publishing schedule, cater for increasing mobile phone traffic, and generally better reflect their established position in the Perth market. Following delivery of a new website design by talented Perth designer Amanda Nienaber, my role in the project included provision of both front end and WordPress development. Email me at ray.stone@finelysliced.com or complete my enquiry form. 226 Carr Place Leederville 6007 Western Australia.